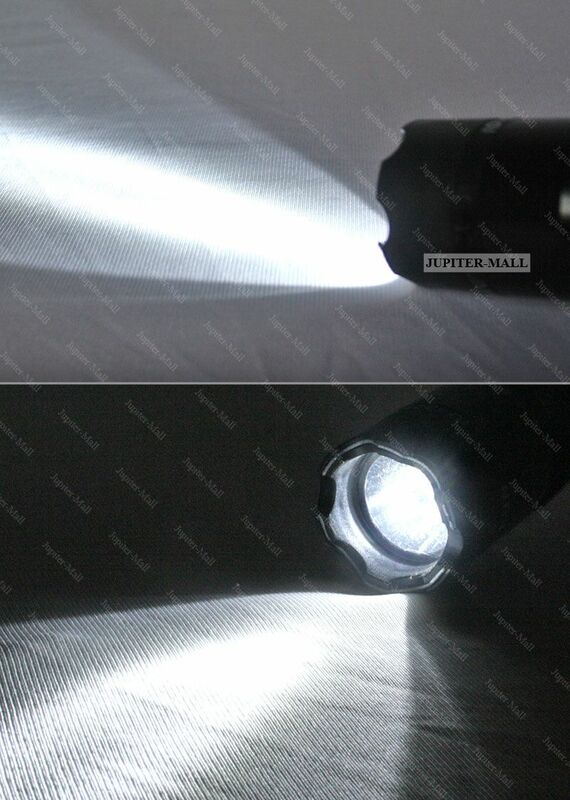 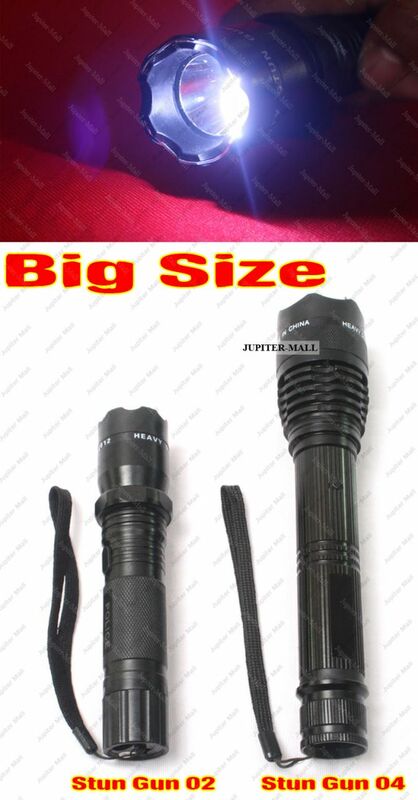 Just one look at the heavy duty prongs on the end of this item, and you'll know this isn't an ordinary flashlight. 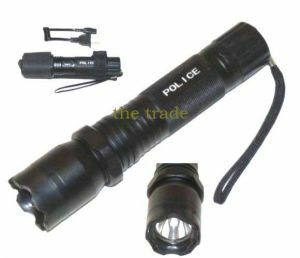 This Stun Flashlight is engineered to meet the demands of Police, Military, and Security Professionals worldwide but is also available to civilians who are serious about their security and safety. 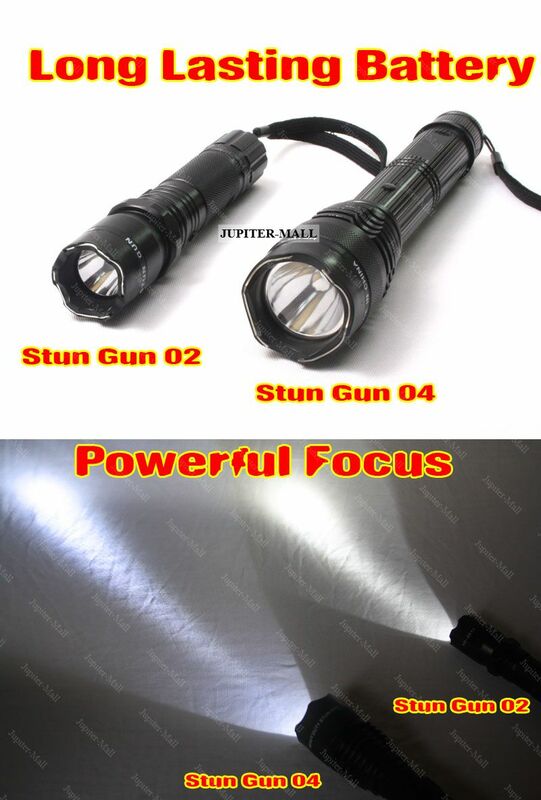 Shock Proof Exterior: Military Grade aluminum alloy protects from damage so it can always be ready to protect you. 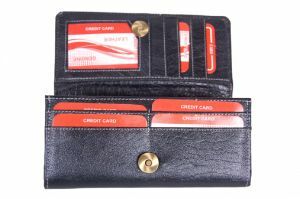 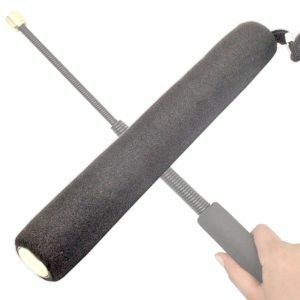 No Slip Grip: Etched texture in the handle ensures a firm grip. 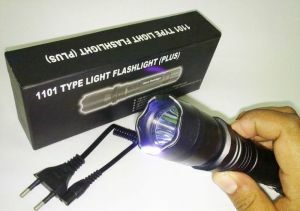 Blinding Light: Not only will the flashlight safely illuminate the entire area at night, but it can also help to protect you. 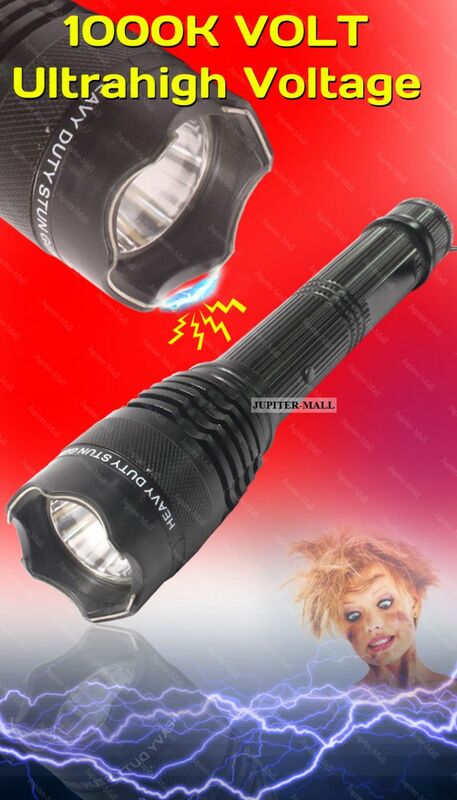 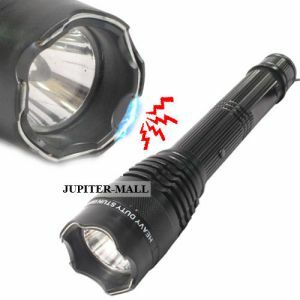 When shined in the eyes of an attacker, the ultra-bright light can have a temporary blinding effect making it easy for you to immobilize them with the stun flashlight. 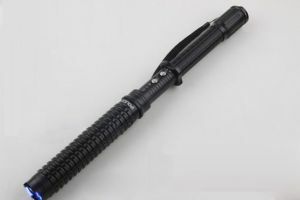 Improved Design: The electric current jumps across the end of the unit making for a louder, more intimidating electrical discharge than other variations of this model where the current is contained within the outer edge. 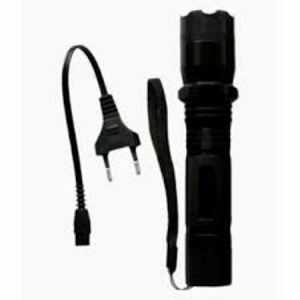 Economically & Environmentally Friendly: The stun flashlight are fully rechargeable and the light bulb has a life of up to 100,000 hours.